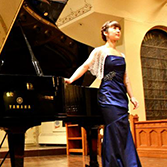 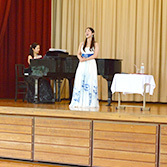 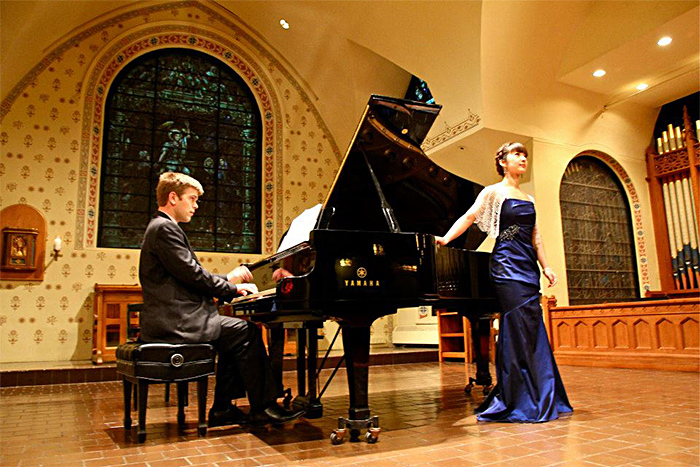 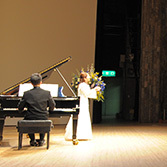 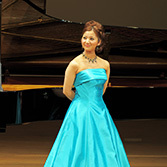 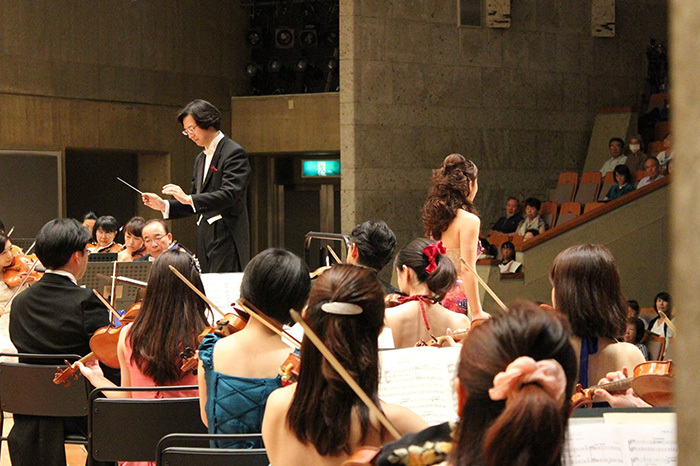 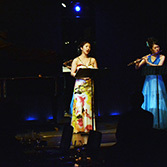 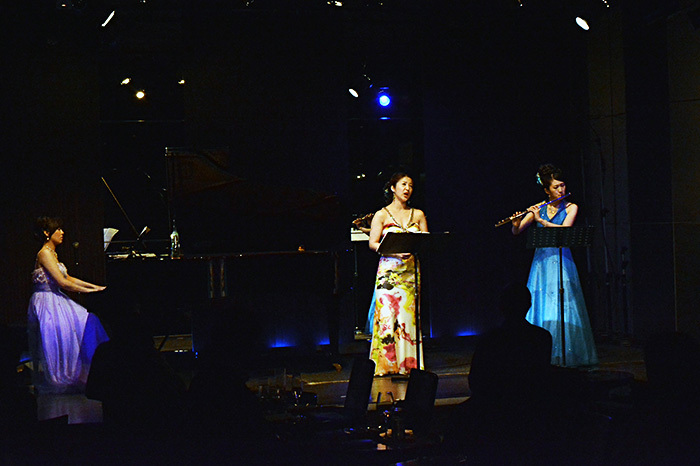 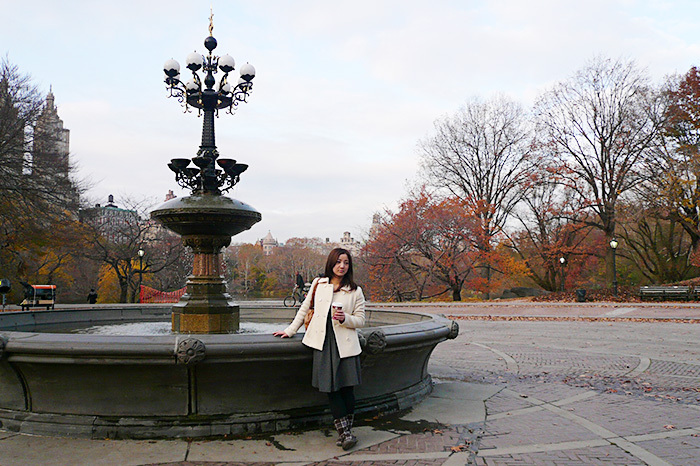 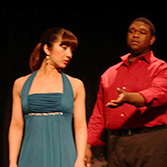 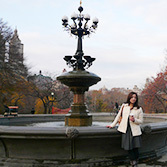 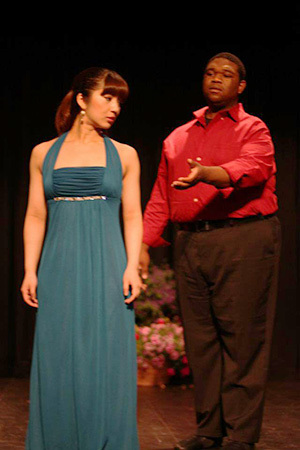 Akiko Nishiguchi (Soprano) Born and raised in Tochigi, Japanese soprano Akiko Nishiguchi received her professional studies diploma from Mannes College of Music in New York City, where she also obtained her master's degree. 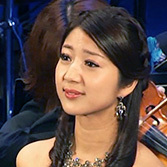 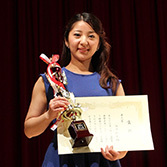 She is also a graduate of the prestigious Tokyo University of Arts. 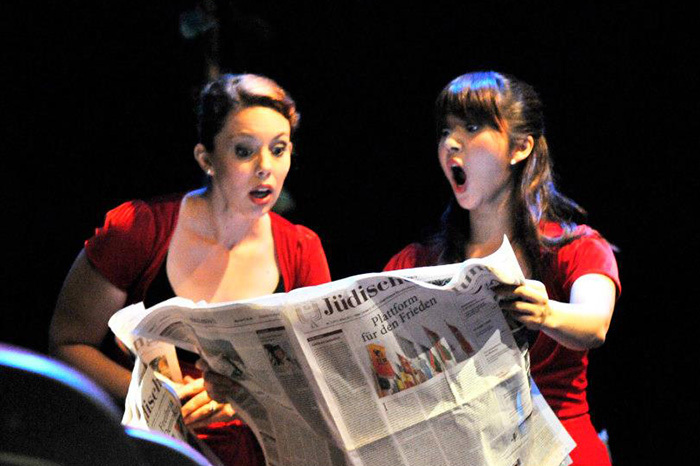 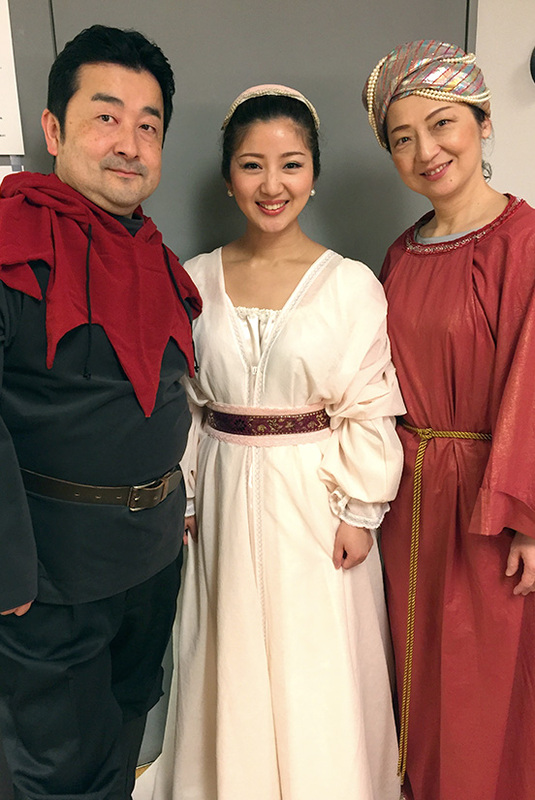 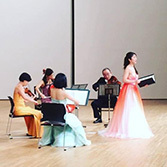 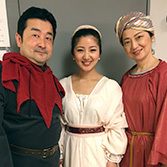 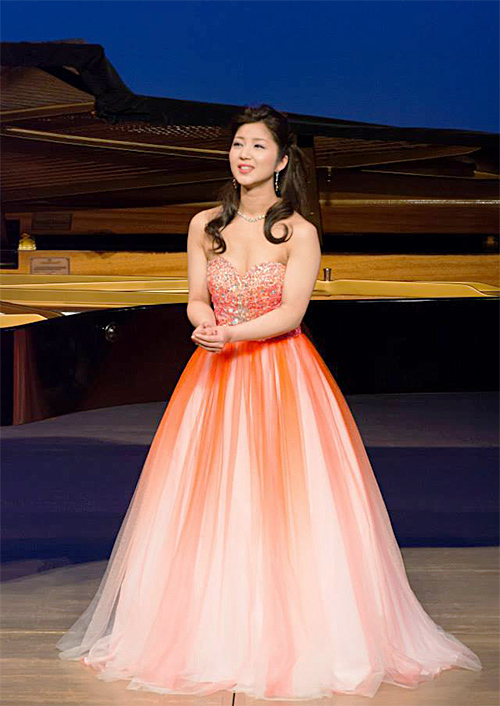 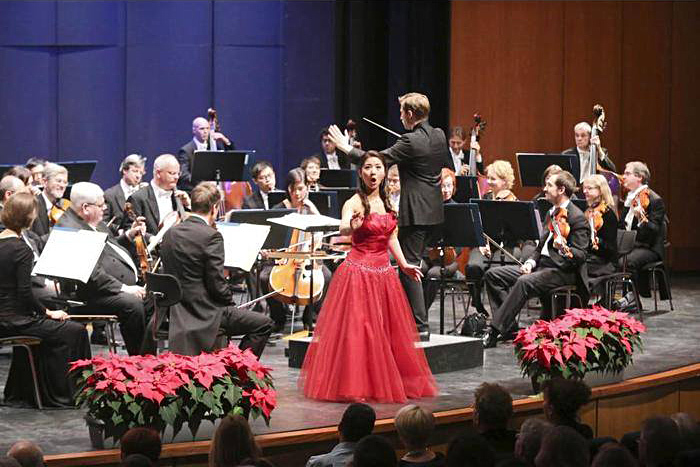 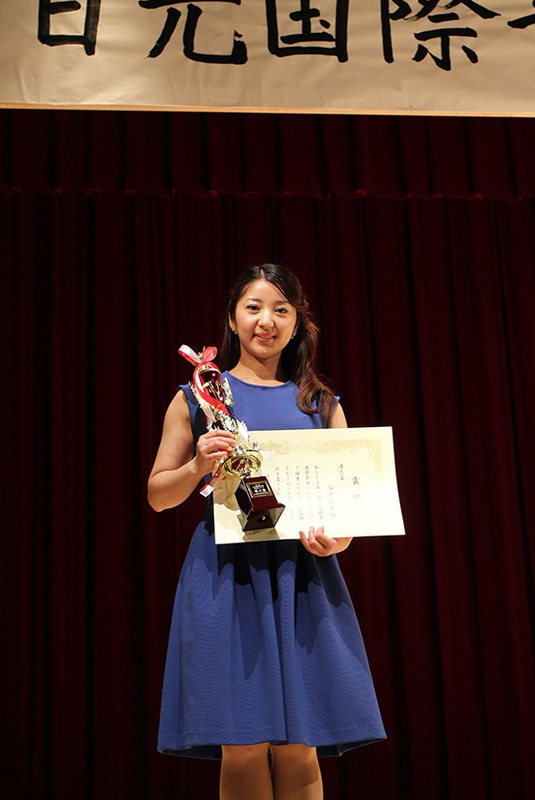 Akiko is a winner of numerous competitions which includes the 2nd prize of Arkadi Foundation Opera Idol Competition and most recently the 3rd prize and audience prize at the competition of Neustadter Meistersingerkurses in 2014. 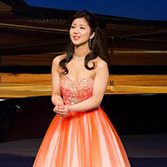 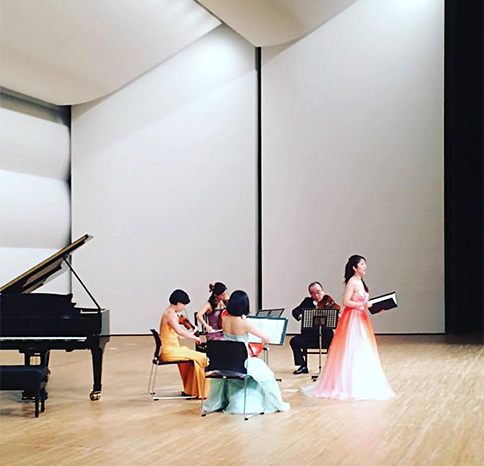 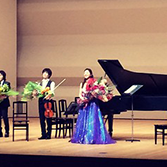 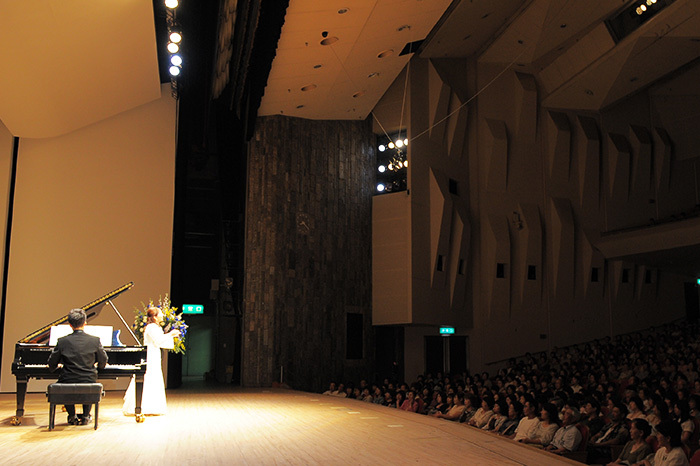 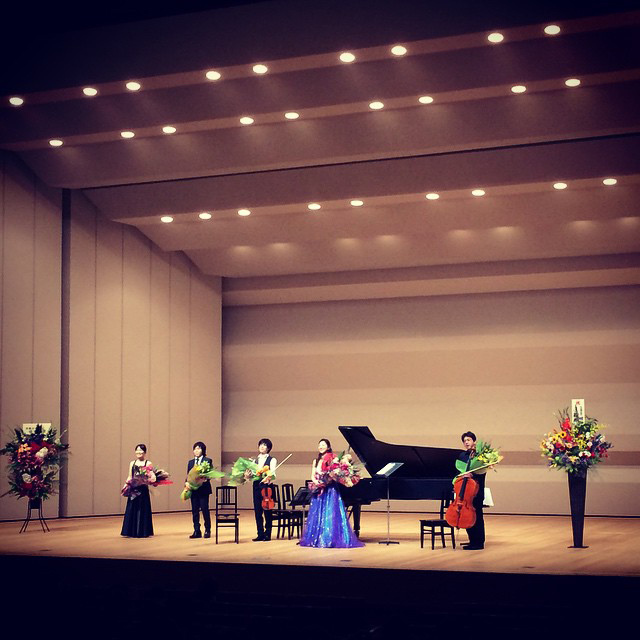 Well acclaimed as a concert performer, she did solo recitals in Japanese embassy in Berlin(2014) and Zagreb(2015). 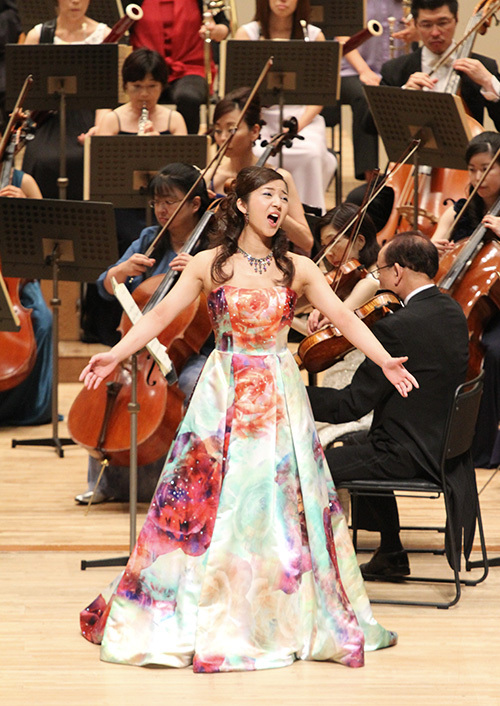 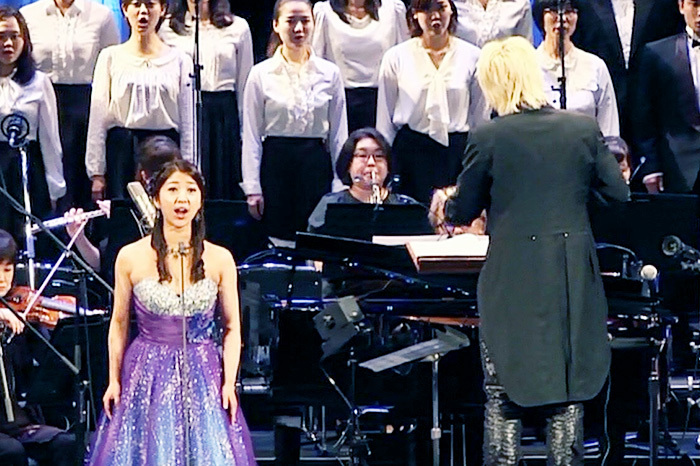 She also sang the Soprano Solo in Beethoven's Symphony no.9 with The Choral-Orchestral Ensemble of New York in 2012. 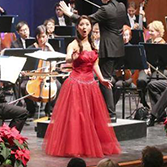 Opera roles that she performed include Gilda from “Rigoletto” in the Tyrolean Opera Program (Maurach),Najade (Ariadne auf Naxos) at IVAI in Tel Aviv, and the role of Shaking Mask in the world premiere of Robert Cuckson’s Opera “A Night of Pity” in 2010. 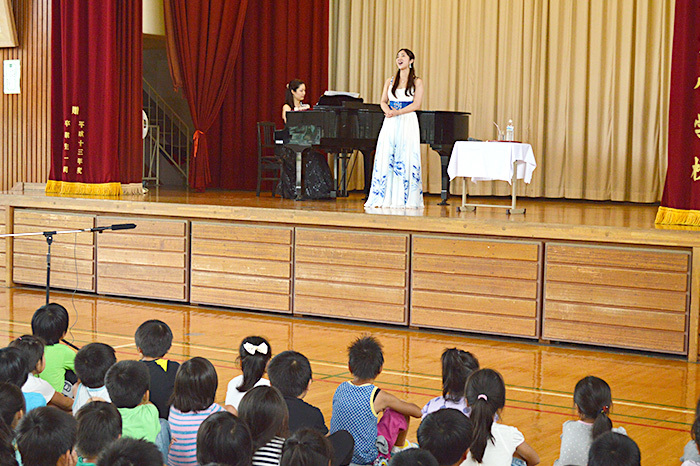 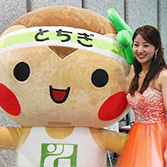 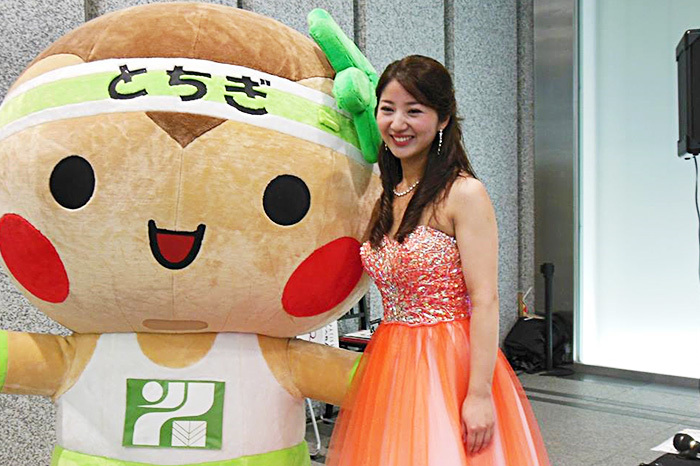 She has been an ambassador of Oyama, her hometown, since 2010 and ambassador of Tochigi prefecture since 2013. 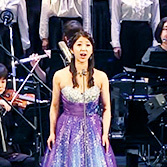 "華やかに着飾っても" Bernstein, <Candide> "Glitter and be gay"